Once shipped from our California warehouse, you will be notified by email with your tracking information and order summary. We ship each unit INSURED and use only the most reliable and professional carriers. Transit time vary depending on area and services requested, usually ranging from 2 days on the West Coast to 6 days for the East Coast. You can track your packaging using the link in the email, or by clicking on your designated carrier in the list bellow. Simply click track on the carrier’s website and type in your PRO number or Bill of Lading number. The designated shipping company will notify you at the contact number provided when your shipment is ready for delivery. Please be present at the designated delivery time and we encourage you to have helpers available. The doors are well packaged and may take some time to inspect. An on-site inspection of all contents prior to signing the delivery ticket is necessary for any damage claims. If damage during shipping does occur, please note “shipping damage” on the delivery ticket and refuse the shipment. 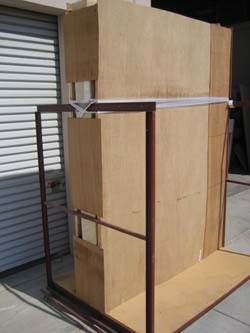 You must then call us and notify us of the problem so we can ship out a new unit right away. For returns for reasons other than damage or defects, a restocking fee of up to 20% may be deducted from the refunded total.